Hi hi! I have started with a new scene, I did a rough sketch of how my scene will almost look like. I want some cartoon and realism in it, the mood color is hard to choose either bw or rainbow color. 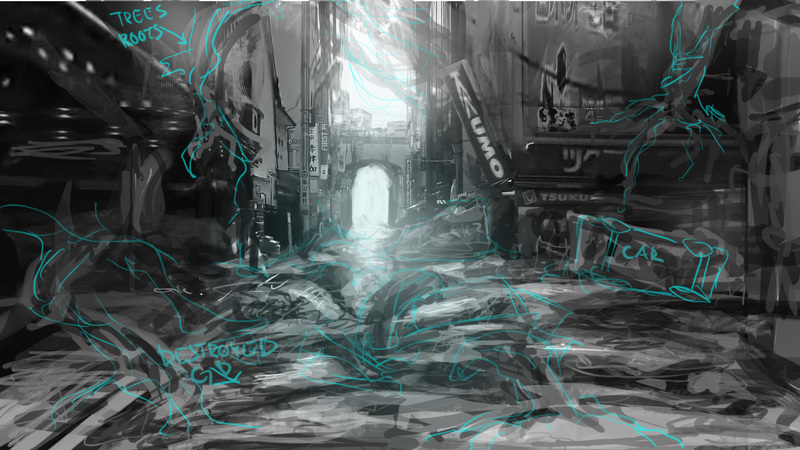 I havent seen any env artist done a bw scene before, so I might give it a try. It should be cool if it cartoon but in a cool way. I will start with the modelling today let me see how far i can come today.